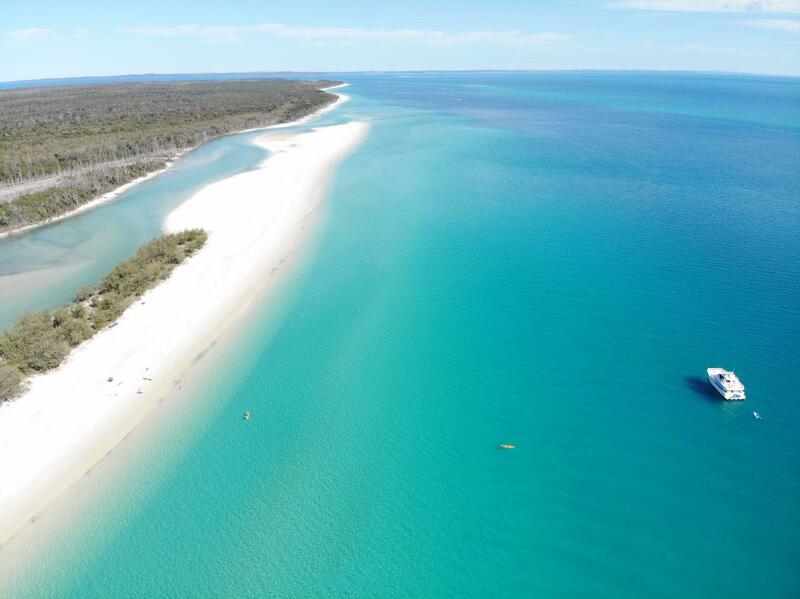 Enjoy the spectacular pristine water ways between Fraser Island and the mainland while looking out for dolphins, turtles, fish, bird life, & more. 	Morning tea provided as we cruise across to Fraser Island. 	Aussie BBQ Lunch provided as we cruise back from Fraser Island: Quality Rib Fillet Steak, Sausages, Fresh Hervey Bay Prawns, fresh salads & bread. 	Cold drinks available for purchase at our Licensed Affordable Bar. 	WHAT TO BRING: Sunscreen, hat, insect repellent and sunglasses. (boat supplies a basic sunscreen); Camera; Swimmers and towel. 	PLEASE NOTE: Due to safety requirements all guests are required to be transported to the beach on Fraser Island as part of the designated stop. Require a level of fitness and coordination. Guests with physical or medical impediments may struggle with certain activities. These activities are at the guests own risk. Going ashore at Fraser Island may be substituted for Pelican Banks or both destinations may be provided on the one day. Totally depends on tides and weather conditions. We want guests to have the best experience & both areas can offer great beach & water activity options.